hd00:10Time-lapse: aerial view of yacht marine from Old Fortress, Kerkyra, Corfu, Greece. 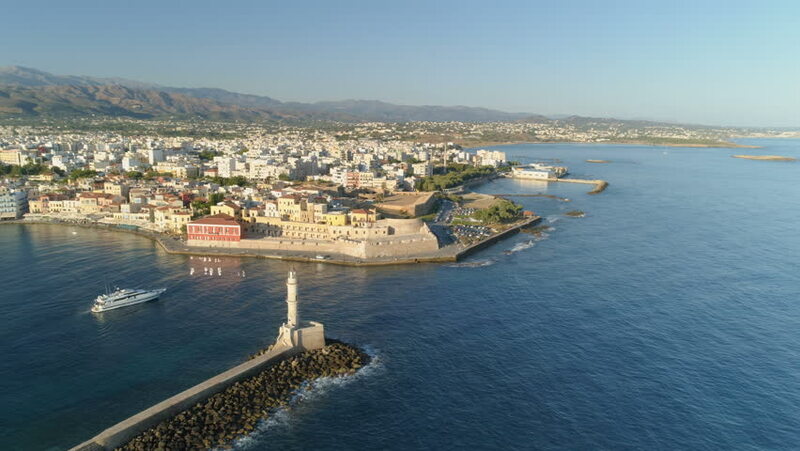 4k00:22AERIAL: Large international sea port next to a quiet coastal town. Massive towering industrial cranes placed opposite quaint white red-roofed village houses. Sailboats docked in old dalmatian town.